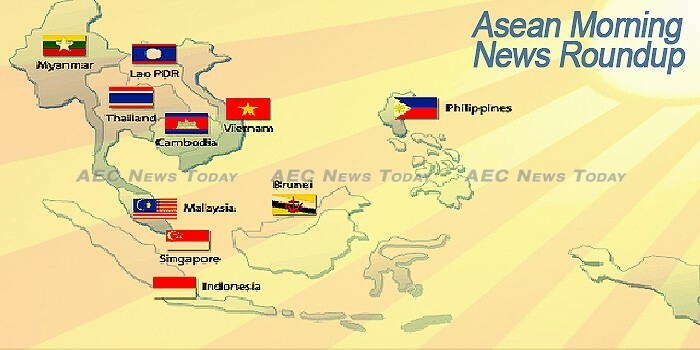 The Asean Morning News Roundup presents a selection of reports on what you need to know from around the Asean Economic Community (AEC). THAILAND should work towards a swift finalisation of the Regional Comprehensive Economic Partnership (RCEP) to offset the prospect of protectionism in global trade, the University of the Thai Chamber of Commerce (UTCC) says. Infrastructure needs in developing Asia and the Pacific will exceed US$22.6 trillion (Bt789 trillion) through 2030, or $1.5 trillion per year, if the region is to maintain growth momentum, according to a new flagship report by the Asian Development Bank (ADB). AirAsia X (flight code: D7) has received clearance from the Federal Aviation Authority (FAA) to fly to the US.The airline is the first Asian low-cost carrier to secure approval to operate scheduled passenger flights to the US. An event that showcased ASEAN’s efforts in biodiversity conservation was held at the sidelines of the 13th meeting of the Conference of the Parties to the Convention on Biological Diversity on 16 December in Cancun, Mexico. AIRASIA GROUP says it will push for higher passenger loads while keeping a tight lid on costs to sustain earnings this year and mitigate the effects from rising oil prices and volatility in currencies. Gareth Corsi has been appointed as the managing editor of The Asean Post. He was previously the associate editor at currentbiz.io. Kavi Chongkittavorn’s latest column is highly valuable in its assessment that the Association of Southeast Asian Nations has the diplomatic duty and power to counter the backlash against globalisation sweeping some Western countries. The Nikkei ASEAN Manufacturing Purchasing Managers’ Index, or PMI, rose slightly to 50.3 in February from 50.0 in January. China could be looking at turning Malaysia into its hub for the Asean markets, said HSBC Bank Malaysia Bhd chief executive officer Mukhtar Hussain. In another indication of Phnom Penh’s oversaturated real estate market, a report released on Tuesday says that a third of individual houses in gated communities launched for sale last year have yet to sell, in addition to tens of thousands of units still in various stages of completion soon to hit the market. A government project aimed at helping farmers make better profits from small-scale agricultural businesses is looking to secure more than half of the $62 million cost through international funding, the Economy and Finance Ministry announced on Tuesday. Cambodian exports to Thailand surged by 46 percent last year compared with 2015 while imports from the neighbouring country decreased slightly, according to statistics provided yesterday by the Ministry of Commerce. Investigators from South Korea’s state-run deposit insurer have announced that they will open a dedicated branch office in Phnom Penh next month to advance efforts to recover Cambodian property assets linked to bankrupt Korean savings banks. Cambodia’s Senate yesterday swiftly rubber-stamped widely criticised amendments to the Law on Political Parties, but not without first promising to “take action” if the UN Office of the High Commissioner for Human Rights interfered in domestic affairs. Job applicants with accounting and finance skills stand a better chance of being hired by Cambodian employers seeking to fill vacancies in their companies, according to a report released yesterday by online career portal Everjobs. Star Auto (Cambodia) Co. Ltd, the authorized general distributor for Mercedes-Benz in Cambodia, is aiming big. The company wants to sell around 100 luxury Mercedes-Benz cars this year, which represents a fivefold increase compared with their sales last year. Tokyo-based Mizuho, one of largest banks in Japan, is to open a branch in Cambodia in response to rising investment from the world’s third-largest economy in the kingdom. Cambodia has scored dismally in a global development index, the 2016 Open Data Inventory, which assesses the accessibility of official national statistics from government and private sector websites in 173 countries. Though a smaller proportion of Cambodians reported bribing public officials last year, more people indicated the government was doing a poor job fighting corruption than five years ago, according to a new report. An American mining company has suspended work at the world’s largest gold mine in West Papua, New Guinea in a dispute with the Indonesian government. An Indonesian domestic worker has claimed her kidney was stolen without her knowledge while she worked in Doha, Qatar, three years ago. The establishment of a joint bank account between Iran and Indonesia will foster financial cooperation and facilitate bilateral transactions, said the Central Bank of Iran’s governor. Honda Prospect Motor, the local car manufacturing unit of Japan’s Honda Motor, will invest Rp 4.8 trillion ($360 million) over the next five years in Indonesia to expand its engine, frame and polymer injection production line capacity at its plant in Karawang, West Java. DuPont Danisco has received regulatory approval by the Indonesia food watchdog for a range of bakery enzymes. Yayat Cahdiyat, the suspect who allegedly detonated a low-explosive device near Pandawa Park in Bandung, West Java, on Monday morning (27/02) is affiliated with the radical Islamic State movement, a National Police spokesman said on Tuesday. Indonesia will dangle $25 billion worth of investment opportunities, mainly in infrastructure projects, to Saudi King Salman bin Abdulaziz Al-Saud when he visits Jakarta and Bali this week as the country seeks to increase ties with Saudi Arabia. The national antigraft agency seeks to introduce anticorruption curricula to educational institutions, its deputy chairwoman said in a seminar at Atma Jaya University in Yogyakarta on Monday (27/02). Shareholders are pressuring miner Freeport-McMoRan to stand up to the Indonesian government over changes the Southeast Asian country wants to make in the US miner’s contract, Freeport’s chief executive officer said on Monday (27/02). Startups are not only about big money but it is more about sustainability. After dominating the investment market for the past few years, startups continue to attract investors this year. Indonesian diversified conglomerate Astra International booked a 4.8 percent increase in net income last year, as rising car sales and improving global commodity prices made up for a slump in the company’s bank and heavy machinery businesses. Maj. Gen. Teddy Lhaksamana, the former Jakarta military command chief, was appointed as the new deputy chief of State Intelligence Agency, or BIN, on Tuesday (28/02), replacing Lt. Gen. Torry Djohar Banguntoro. The night before the assassination, Siti Aisyah partied with her friends ar a wellknown night club in Kuala Lumpur. French delegates established on Tuesday a new business group representing French companies that aim to tap into the huge potential in Indonesia’s renewable energy sector. Foreign Affairs Minister Retno L.P. Marsudi, held a bilateral meeting with the French Foreign Affairs Minister Jean Marc Ayrault at the Indonesian Ministry of Foreign Affairs headquarters on Tuesday, February 28, 2017. The World Bank Board of Executive Directors on Feb. 27 announced it has approved US$125 million in financing to support the second phase of the Dam Operational Improvement and Safety Project (DOISP) for Indonesia. The Asian Infrastructure Investment Bank is co-financing the project with an additional $125 million. Despite increasing evidence that women play a vital role in post-conflict resolution and peacekeeping operations, Indonesian women are still not given enough opportunities to participate in such missions. The head of an Indonesian Muslim hardline group insisted on Tuesday (Feb 28) that Jakarta’s Christian governor had committed blasphemy as he gave evidence at the city leader’s trial. The United Nations categorizes young people as those between 10 and 24 years of age. In Indonesia, Law 40 of 2009 categorizes young people as 16-30 years old. Youth participation is a right protected by the law according to Chapter III on the function, direction and strategy for youth services of Law No 40. Article 7 mentions increased participation and an active role for youth in developing themselves, society, and the nation. A Papua New Guinea man says he and several countrymen were subject to unfair incarceration in West Papua by Indonesian authorities. Education in Indonesia has undergone many diverse phases of change. One of the most notable developments in the 21st century is the growth of international and national plus schools throughout the country. The Nikkei Indonesia Manufacturing Purchasing Managers’ Index, or PMI, fell to 49.3 in February from 50.4 in January. A police corporal claimed trial in a Sessions Court to robbing an Indonesian while armed with a pistol. IN ANTICIPATION of 2018 being a Visit Laos Year, the Minister of Information, Culture and Tourism has called on tourism agencies to start preparing activities for inclusion in the official programme. The Global Environmental Facility has provided more than US$5.4 million (about 44.4 billion kip) to support a project strengthening agro-climatic monitoring and information systems to improve climate change adaptation and food security in Laos. A joint cooperation project between Laos and the Republic of Korea on the digital mapping of Vientiane, covering 4,600 hectares on a scale of 1 to 2,000 was completed recently, with a handover ceremony held in Vientiane yesterday. REPRESENTATIVES from Laos’ Phongsavanh Group discussed business proposals during a recent visit to Khon Kaen. A historic auction of 14 luxury cars withdrawn from government leaders has earned 11.6 billion kip with the BMW driven by Prime Minister Thongloun Sisoulith attracting the highest bid at the public sale held at the National Convention Centre yesterday. Prime Minister Thongloun Sisoulith has advised authorities in charge to urgently and effectively apply the one-stop service in line with the amended Investment Promotion Law, which was passed by the National Assembly in November last year. The Saudi Arabian Oil Company (Saudi Aramco) will take up a 50% stake in the refinery and cracker project in the Pengerang Integrated Complex (PIC) in Johor under the US$7bil deal with Petroliam Nasional Bhd (Petronas). AirAsia and AirAsia X have warned the public not to fall victim to deceiving advertisements by unauthorised travel agents on social media platforms such as Facebook and Instagram who claim to sell heavily discounted flights for AirAsia and AirAsia X.
Malaysian palm oil futures recovered late on Tuesday, tracking stronger soyoil prices after hitting their lowest level in nearly four months earlier in the day. Opposition claims that the Saudi Arabian Oil Company will pull out of the Refinery and Petrochemicals Integrated Development (Rapid) project in Pengerang, Johor, fizzled out with Saudi Aramco signing an MoU with Petronas today, said Datuk Seri Azalina Othman Said. The Singapore dollar yesterday touched a record high against the Malaysian ringgit – and at least one analyst believes the rate could be headed for RM3.30. Web hosting services and eCommerce solutions provider, Exabytes Group has acquired 100 per cent in HT Internet Sdn Bhd to offer more comprehensive online solutions to its customers as a group. Negotiators from Thailand’s military government and a panel representing insurgent groups achieved a small breakthrough in exploratory talks by agreeing Tuesday to a framework for a limited ceasefire in the Thai Deep South, according to officials from both sides. It is in Kuala Lumpur’s “Little India” neighborhood, behind an unmarked door on the second floor of a rundown building, where a military equipment company called Glocom says it has its office. Malaysian food delivery startup Delivereat has bagged $450,635 (MYR 2 million) in a Pre-Series A funding round lead by Shanghai-based venture capital firm Gobi Partners‘ Gobi MAVCAP ASEAN Superseed Fund that is focused on Southeast Asia’s tech startups. North Korea has sent a high-level delegation to Malaysia to seek the return of the body of leader’s Kim Jong Un’s slain half brother. The body of Kim Jong Un’s slain half-brother has become the subject of a diplomatic turf war between North Korea and Malaysia, where he was poisoned earlier this month with a powerful nerve agent. North Korea sent a high level delegation to Malaysia on Tuesday to demand the body of leader Kim Jong-un’s half brother, the victim of a deadly nerve-agent attack that many suspect the reclusive regime of orchestrating. The construction sector is the third biggest contributor to the 31,943 accident cases referred to the Social Security Organisation (Socso) last year. Thai authorities arrested more than 100 Myanmar nationals working in Maesot and the surrounding area on February 27 as part of a crackdown on illegal immigration, Eleven reported today. The Myanmar government has hit out at UN Special Rapporteur Yanghee Lee’s latest comments on people who have fled Rakhine state, saying it disagrees with her statements and finds them “unfortunate”. Yesterday Parliament approved the Ministry of Transport and Communications proposal to take out a Euro 5 million loan from the KFW known as German Government-owned Development Bank to upgrade the Locomotive Shed (Ywahtaung) under the Myanmar Railways (MR). Clashes with ethnic rebels in Myanmar’s southeastern Shan State have killed more than 160 people including 74 soldiers, according to the military Tuesday. Myanmar eligible citizens residing in Singapore have begun voting early for the upcoming 2017 by-elections. Himalaya Airlines launched its second new route of 2017 on 24 February. Having started service to Kuala Lumpur on 10 February, the carrier has now added Yangon (RGN) in Myanmar to its network from Kathmandu (KTM). In a sign of what the future may offer, two major reports on Myanmar’s education system released by Save the Children and the Asia Foundation underline what can be achieved by ethnic communities educating themselves. The reports detail the rise of ethnic basic-education providers (EBEP) in Myanmar, a local response to the policy of ultra-nationalist “Burmanisation” – equivalent to ongoing “Thai-ification” here. This policy briefing was drafted by a group of local and international organisations with indepth knowledge and extensive experience of drug-related issues in Myanmar. It is structured around a set of five strategic interventions, each of which comes with concrete recommendations that are adapted to the Myanmar context. It contains reliable, up-to-date information and examples of evidence-based practices from Myanmar and around the world. Myanmar is extending its hand in friendship to seven small nations, according to an announcement by the Ministry of Foreign Affairs. Mandalay City Development Committee’s Water and Sanitation Department has kicked off a plan to supply 100 percent of the demand for drinking water to all seven townships within the district by 2020. The Ethnic Nationalities Affairs Centre (ENAC) (Union of Burma), has released a report recommending greater government emphasis on the possession, management, share of revenues and impact of the country’s natural resources during the second 21st Panglong Conference. From north to south, east to west – much of the produce that is available to Yangon’s residents has travelled from far-flung corners of the country. MYANMAR NOW HAS AN INDIE FILM SCENE. SEE THEIR STUFF THIS WEEKEND. A Burmese monk’s conflict between his calling and rapidly changing society will be featured at weekend edition of what’s billed as the only festival bringing independent films from Myanmar. Myanmar’s English newspaper of record has outlasted the jailing of one of its founders for contrived offences, a suffocating censorship regime not lifted until 2012 and a controversial early connection with the junta. It may not outlast its current management. A new axis for the Leshi-Lahe road is being sought so that it can form the basis of a road network for the whole Naga Region, MP Maung Tae said. The average inflation rate is expected to reach 7.9 per cent in next fiscal year, according to the summary report on the Union Budget for 2017-2018 fiscal year. Yangon residents gathered at the Yangon International Airport yesterday to mark the month that has passed since lawyer U Ko Ni and heroic taxi driver Nay Win were killed there by a hired gunman. A fire broke out in Hlaingthaya Township’s Dinesu Ward at about 5:30pm yesterday, killing a woman and burning down more than 50 homes. The site of the blaze was near the Pun Hlaing Golf Resort and Hlaingthaya Industrial Zone-6. If you hadn’t heard by now, Yangon is having a mini collective freak-out as news that the water supply in certain townships will be cut off for nearly a week have spread across social media. The head of the National League for Democracy chapter for Chaungtha Village has sued a teacher and her husband under section 66(d) of the Telecommunications Law over Facebook post that is allegedly defamatory toward State Counsellor Aung San Suu Kyi and the NLD. SOME 5,215 projects have been identified for public funding under the P7.89-trillion Three-year Rolling Infrastructure Program (TRIP) from 2018 to 2020, data obtained by the BusinessMirror from the National Economic and Development Authority (Neda) showed. The Philippines needs to attract more foreign direct investments to achieve the gross domestic product growth target of 7 percent to 8 percent this year, DBS Bank of Singapore said Tuesday. A combination of higher minimum fare in public utility vehicles and increases in electricity as well as oil prices likely pushed inflation to its highest level in over two years, Bangko Sentral ng Pilipinas Governor Amando M. Tetangco Jr. said Monday. The government’s outstanding debt hit P6.115 trillion, a record high, in January as the government sold more debt paper to finance infrastructure expenditures. The country’s biggest commercial banks are expected to sustain robust loan growth in the next two years amid an expanding economy, although global debt watcher Fitch Ratings warned of a potential overheating in real estate lending. The economic relationship between China and the Philippines is expected to post stable development, given increasing Chinese investment in the Philippines under the One Belt and One Road initiative and rapid bilateral trade growth driven by free trade agreements. The Philippines’ robust economic growth is expected to sustain, according to an ANZ research report. However, it also weakens the external accounts. The Philippine authorities have taken a benign view of the situation as the decline in current account is mainly because of imports of capital goods. The consolidation of taipan Lucio Tan’s Philippine Airlines under listed PAL Holdings Inc.— a key step before a new strategic investor can enter PAL—has been given the go-ahead by the Philippine Competition Commission (PCC). Despite his misgivings, President Rodrigo Duterte has signed the Paris Agreement on Climate Change. Philippine President Rodrigo Dutere on Tuesday apologized to the German government and the family of Juergen Kantner after the Philippines failed to save the German hostage from being beheaded by the Abu Sayyaf group. State-run Philippine Charity Sweepstakes Office (PCSO) is opposing the Department of Finance’s proposal to tax lottery winnings, saying revenues intended for health and other services will be slashed once bettors get deterred by taxed winnings. THE government announced last week it has decided to extend an executive order (EO) that reduces the tariffs on raw materials used for making processed-meat products, such as offal and mechanically deboned meat (MDM). Filipino food, beverage and packaging multinational San Miguel Corporation (SMC) is considering returning to the airline business, CAPA has reported. Mining industry players did not invest enough in building goodwill. And this explains why they were not prepared for someone like Gina Lopez. “Uncertainty” in local politics coupled with global markets’ anticipation of US President Donald J. Trump’s first speech before the US Congress pulled the peso to a fresh over 10-year low of 50.27:$1 on Monday. The President mentions his decision to fire Peter Laviña in a recent meeting with labor groups. The public admission of a confessed leader of the much-storied Davao Death Squad or DDS raises the specter of criminal prosecution of an incumbent president. Because of the complexity of the physical world, the sound management of the environment has always required a balancing act, the involvement and cooperation of people and a whole range of stakeholders. This means a brand of environmental governance that sees the forest in addition to the trees, passionate but not discriminatory. PHL’s ‘Smart Cities’ dream: Too slow? INTERCONNECTION is important in building smart cities. This means that each component of a city should “communicate” with one another in order to make life easier for its population. The application to convert more than 1,500 hectares in Quezon province into an economic zone was approved by the Philippine Economic Zone Authority (PEZA) in January. From one store in 2012, the “Changi Recommends” initiative has grown to eight outlets offering Wi-Fi routers, tours and more. The automatic fire detection system will be triggered to alert the station staff and the Singapore Civil Defence Force (SCDF) should a fire break out in the MRT train, said Minister for Home Affairs K Shanmugam on Tuesday (Feb 28). If you are using your NRIC and telephone numbers or birth date as a password to secure online accounts, change it immediately. Workers’ Party (WP) Members of Parliament yesterday questioned the decision to raise water prices, calling on the Government to thoroughly explain how the impending 30 per cent hike was calculated. They also suggested that the timing was “political” to avoid having to raise prices when elections draw near. Singaporean commuters, like straphangers just about everywhere, endure the hassle of having to reload prepaid fare cards when taking public transit. But the city-state’s Land Transport Authority has plans the speed things up, launching a pilot program that will let riders pay directly at the fare gates with compatible credit and debit cards. The money will come right out of riders’ bank accounts, eliminating the need to stop at a machine to top off fare cards that are running low. Singaporean Prime Minister Lee Hsien Loong turned heads Tuesday when video of a blunt commentary on his nation’s U.S. and China relationships was posted online. It was water, water everywhere – and precious little relief for local businesses as more than half the 17 MPs who debated Budget 2017 yesterday voiced concerns about how the upcoming hike in water prices will hurt companies here. Should Singapore employees expect bigger paychecks this year? Amidst the tight labour market, Singapore employees are expecting their employers to raise their salaries by up to 6%, the 2017 Hays Asia Salary Guide revealed. Food companies in Singapore donned their aprons to give local tastes and flavours a global exposure. International consulting company Capgemini has chosen Singapore for its newest Applied Innovation Exchange to serve Southeast Asia. Our way of life is changing, with economies shifting from the third to the fourth industrial revolution – from computers to digitisation and the Internet of Things (IoT). A breach in an Internet-connected system at the Ministry of Defence (MINDEF) earlier this month has resulted in the personal data of 850 national servicemen and employees being stolen, the ministry said on Tuesday (Feb 28). The Government can be an enabler for businesses, but it cannot make decisions for businesses, or pick winners, said Minister for Trade and Industry (Industry) S Iswaran in Parliament yesterday, as he reiterated the measures in place to support businesses, especially small and medium-sized enterprises. In response to a new tax law that doubles the tax rate on Thai liquor, Thai social media has questioned whether the ruling junta has exhausted its budget. The Nikkei Thailand Manufacturing Purchasing Managers’ Index, or PMI, came in at 50.6 in February, unchanged from January’s reading. THE CABINET yesterday approved the Finance Ministry’s proposal to cut personal income tax for executives, experts and researchers working in the three Eastern Economic Corridor (EEC) development-project provinces of Chon Buri, Rayong and Chachoengsao. Thailand’s economy continued its gradual pace of recovery in January, with public expenditure and export growth strengthening but weakness in other indicators, according to the monthly report from the Bank of Thailand. THE REVENUE Department expects to be collecting Bt100 billion from online transactions via indirect taxes over the next five years. The long-term growth forecast for Thailand’s insurance industry is quite positive, with increasing income, an ageing population, low market penetration rates, increased market liberalization in the ASEAN Economic Community (AEC), and supportive regulatory framework all expected to contribute to double-digit growth for the industry over the next few years. Downloading music on your smartphone is a pain, and streaming videos is nearly impossible. So it’s no surprise that Thailand ranks near the bottom in terms of mobile internet speed, according to a chart released this month. Netflix, world’s leading internet television network and AIS (Advanced Info Service) announced their partnership. This is Netflix’s first partnership with a mobile network in Thailand, enabling the largest mobile operator in the country to offer its customers the world-class and exclusive entertainment. Claims that Saudi Arabia has lifted restrictions on travel to Thailand have been dismissed as untrue by a senior official. Emperor Akihito and Empress Michiko arrived in the capital of Vietnam on Tuesday evening on their first trip to the Southeast Asian country where they will meet with the Vietnamese wives and children of former Japanese soldiers to promote goodwill and soothe some of the wounds left over from World War II. Hot on the heels of a year of strong and consistent growth, Thailand’s MICE industry looks onward and upward toward new levels of standardisation. I arrived at Government House, the headquarters of Thailand’s military government, on a sweltering afternoon in mid-February. After convincing an assault-rifle packing solider that I wasn’t a confused tourist, I found my way to the office of the government’s spokesman. THE DEPARTMENT of Special Investigation (DSI) has enough evidence to summon 10 protesters, including monks and laymen, and has identified 20 individuals who helped with crowd mobilisation at Pathum Thani’s Khlong Luang Market, DSI deputy chief Songsak Raksaksakul said yesterday. Advanced Information Technology “conservatively” expects its revenue to grow by about 15 per cent to Bt5 billion this year, thanks to higher project backlogs and more government tenders coming up. BULLFIGHTING has been booming in Thailand’s South, attracting tourists and stimulating local economies, amid animal-right activists’ concerns. The Government of Thailand is offering postgraduate scholarships to candidates from St. Kitts and Nevis, for studies in Thailand for the 2017 academic year. Shiseido Travel Retail has partnered with King Power Thailand to deliver a series of NARS activations in Bangkok, aimed at promoting the brand’s first ever Traveller’s Exclusive collection – NARSissist Jetsetter. The Ha Noi People’s Court on Monday opened legal proceedings in one of the biggest economic crime cases in Viet Nam at Ocean Bank, which involves 48 former leaders and employees of the bank. INTERNATIONAL tourists to Vietnam reached nearly 1.2 million in February, increasing 19.1 per cent on month and 42.2 per cent on year. The southern hub is in the grips of a major affordable housing shortage amid a rapidly growing population. Viet Nam has issued a resolution to approve an agreement with the US for avoiding double taxation and preventing fiscal evasion with respect to taxes on income. Deputy Prime Minister Trinh Dinh Dung has urged relevant ministries and agencies to speed up construction of two key rail projects in Hanoi. A protest involving hundreds of construction workers broke out at a Vietnamese plant run by electronics giant Samsung in the northern province of Bac Ninh on Tuesday, after clashes with guards at the plant. More and more Canadian beef exporters are seeking a bigger share of the market in Viet Nam, Canada’s Minister of Agriculture and Agri-Food Lawrence MacAulay told attendants of an event held in Ha Noi on Monday to introduce his country’s beef products. Da Nang has announced its first solar power project, funded with 415,000 USD from the European Commission (EC) and 75,000 USD from the city’s counter fund. The Ministry of Industry and Trade (MoIT) and Finance Ministry (MoF) have set out plans to improve the country’s business environment and the national competitive ability. Law-enforcement force in Hai Ha district, Quang Ninh province on February 28 confiscated 12,000 breeding chickens smuggled from China. Vietnam and Brunei committed to lifting two-way trade to 500 million USD by 2025 at the first meeting of their Joint Commission for Bilateral Cooperation in Hanoi on February 27. Vietnam’s low-cost carrier Vietjet – known for its occasional bikini PR stunts – has soared the maximum 20% in its trading debut in Ho Chi Minh City. Vietnam’s revolutionary founder Ho Chi Minh relied on lottery ticket sales to raise money for schools and hospitals during the war years. Now Hanoi’s Communist leaders are looking to casinos, horse betting and modern lottery- ticket machines to do the same. A high-level North Korean delegation has arrived in Kuala Lumpur as Malaysia announced it will charge an Indonesian and a Vietnamese woman with the murder of Kim Jong-nam, the exiled half-brother of North Korea’s leader. Low-cost Vietnamese carrier Vietjet has completed its public listing and officially become a fully-listed entity on the Ho Chi Minh City Stock Exchange (HOSE), the bourse announced on Tuesday. The Ton Poh Fund, run by Bangkok-based Ton Poh Capital, officially received the shares from their previous owners, two other foreign funds, on Tuesday, the Vietnam Securities Depository has announced. According to the Chinese tourism administration agency, in the last five years, the number of Chinese travelers has increased by twofold to 120 million. One out of every foreign travelers is from China. policies and international trade agreements. Vietnamese and Thai enterprises should sincerely cooperate and actively share experiences and resources towards the success of the ASEAN Economic Community (AEC), which is scheduled to take shape later this year. Small-sized enterprises are concerned that they would have to borrow from credit institutions at higher rates when a new lending regulation takes effect next month. contributions to society and Government policies have resulted in 60 per cent of the population using the web, said Phan Tâm, deputy minister of Information and Communications at the on-going APRICOT 2017 conference in HCM City. Low-cost housing projects planned by the municipal administration should have the same quality of construction and infrastructure as their commercial counterparts, Đinh La Thăng, Secretary of the HCM City Party’s Committee, has said. Việt Nam’s tea sector plans to produce 25,000 tonnes of tea using techniques to increase the quality and productivity of tea plants while protecting the health of farmers and land for future generations, the chairman of the Việt Nam Tea Association Nguyễn Hữu Tài said yesterday.